Frida Kahlo: 'Leaving is Not Enough' - Truth or Fiction? A popular, lengthy quote about love and heartbreak by Marty McConnell has been widely misattributed to Frida Kahlo on social media. 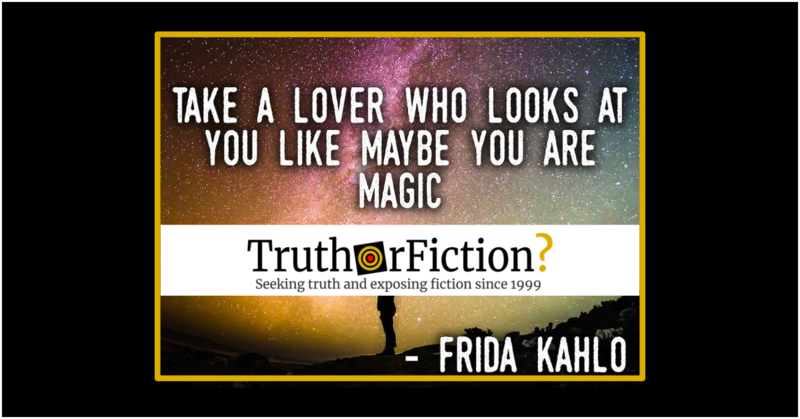 Frida Kahlo said or wrote: "Leaving is not enough, you must stay gone ... take a lover who looks at you like maybe you are magic." “Leaving is not enough. You must stay gone. Train your heart like a dog. Change the locks even on the house he’s never visited. You lucky, lucky girl. You have an apartment just your size. A bathtub full of tea. A heart the size of Arizona, but not nearly so arid. Don’t wish away your cracked past, your crooked toes, your problems are papier mache puppets you made or bought because the vendor at the market was so compelling you just had to have them. You had to have him. And you did. “And now you pull down the bridge between your houses, you make him call before he visits, you take a lover for granted, you take a lover who looks at you like maybe you are magic. Make the first bottle you consume in this place a relic. Place it on whatever altar you fashion with a knife and five cranberries. Don’t lose too much weight. Stupid girls are always trying to disappear as revenge. It’s awesome that people, especially in the Tumblrverse, love this poem. But I’m posting it here publicly so that I can direct folks here to see that (a) it wasn’t actually written by Frida Kahlo (though um, how amazing would THAT be,) and (b) it is a poem which has linebreaks. Also to note that it was published in issue 23 of Salt Hill Journal, so anybody who wants a print copy can order the issue from them and support literary magazines in the process! instead of in the thing itself. Ravenous Butterflies has since posted a correction, but the object continues to be shared with the misattribution. Le sigh. Note: this was not written by Frida Kahlo. 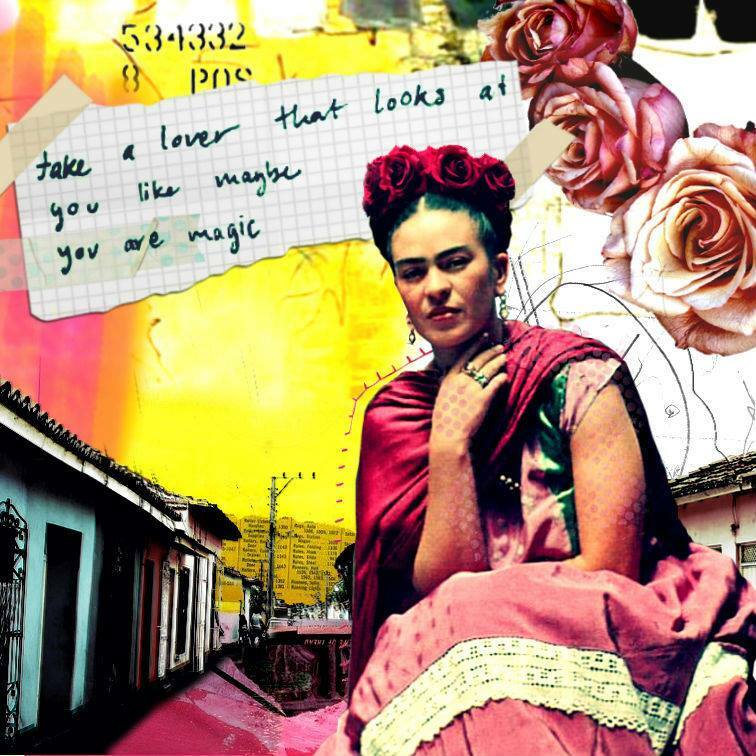 In short, the quotes “leaving is not enough” and “take a lover who looks at you like maybe you are magic” were written by Marty McConnell, not Frida Kahlo. Kahlo’s name in the title of the poem appears to have resulted in a popular misattributions on social media starting in 2013. McConnell has collected a number of misattributions and explained on record that the poem is hers, but Kahlo-attributed versions of the same poem still appear regularly across social media. Hey Friends, in case any of you are doing the post-breakup dance, here are some fierce words for you. Dr. Martin Luther King, Jr.: ‘Socialism for the Rich, Rugged Individualism for the Poor’?